After a month of mornings craving non-traditional breakfast foods–pasta, sandwiches, stir-fried vegetables, salad–this week has been all about standard American breakfast fare. One particular craving I’ve had is for bagels and cream cheese. 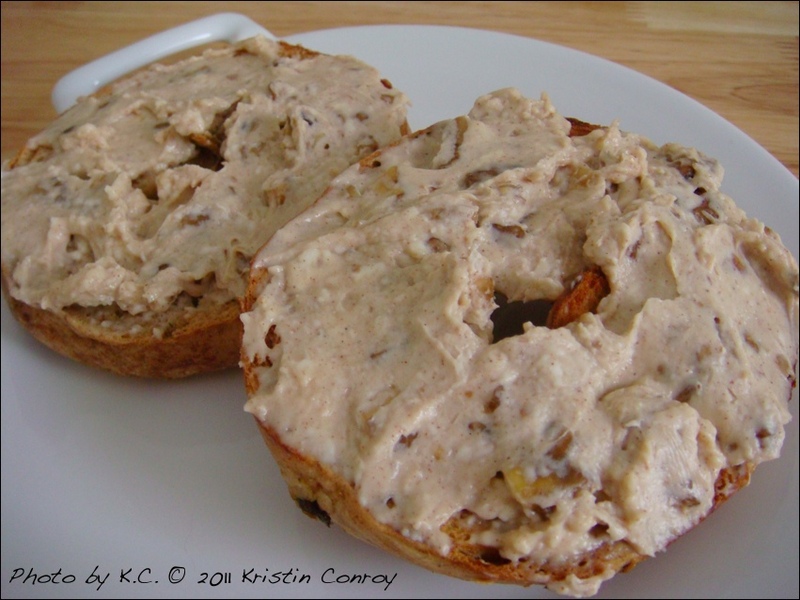 A couple of times a year, my husband and I go to a local bagel shop and share an Everything bagel with vegetable cream cheese and a Cinnamon-Raisin bagel with walnut cream cheese. With my hankering in mind, I decided to recreate the latter spread at home. I was delighted that the result was super-yummy even though it’s less sweet than the one from the bagel shop. I think it’s even more delicious because I didn’t get that sick feeling halfway through from all the sweetness. Ok, I’m probably prejudiced that mine is better. Just see for yourself. While this recipe isn’t something I’ll make on a regular basis, it’ll be perfect for those lazy weekends when my husband and I would normally take a trip to the bagel shop. Hmm, now I just have to recreate that vegetable spread…. I chose Neufchâtel cheese because it has a third less fat than traditional cream cheese, but tastes just the same in my opinion. In the directions, I don’t add the maple syrup until the end. This is because I tried a version with only maple syrup, and the result was a bit lumpy, like cottage cheese. Not quite what I wanted! Place Neufchâtel cheese in small bowl. Add honey and mix, then add walnuts and spices and mix thoroughly. 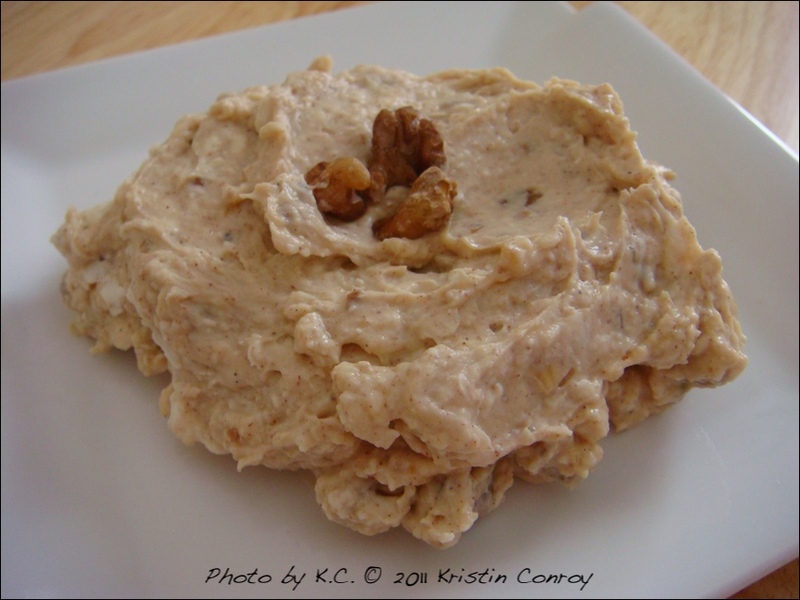 Once spread is nice and creamy, add maple syrup and stir until mixture is a light brown color throughout.